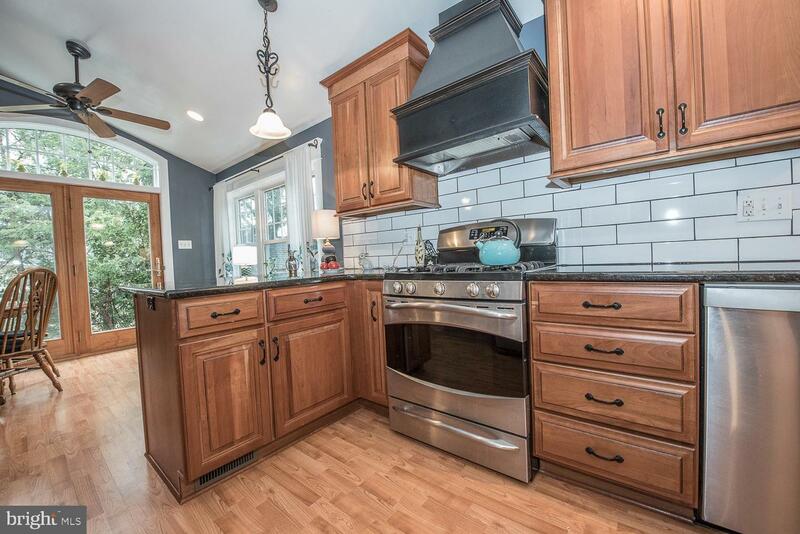 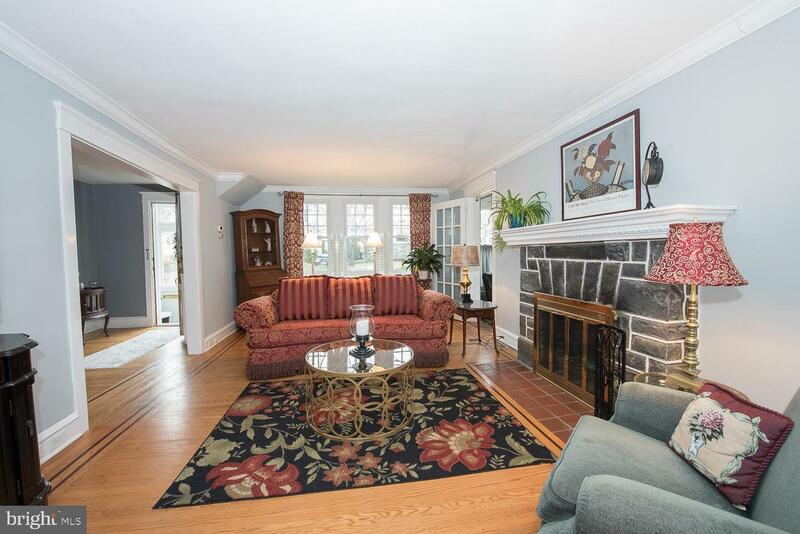 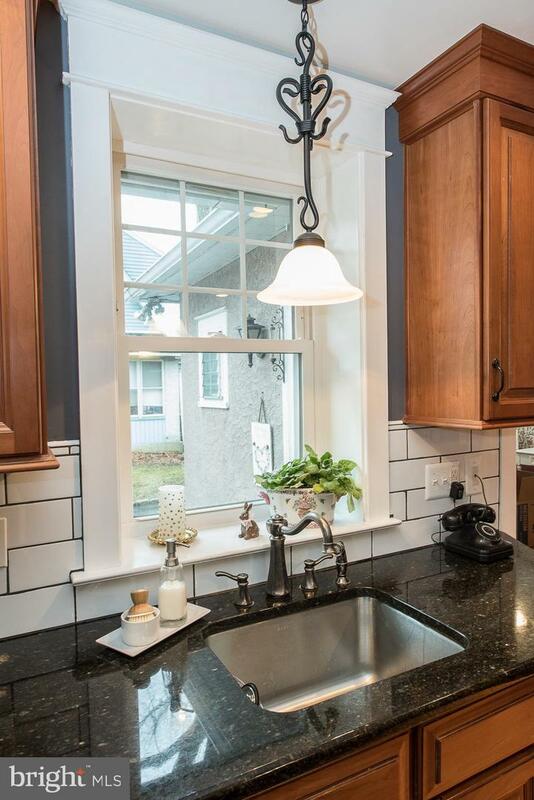 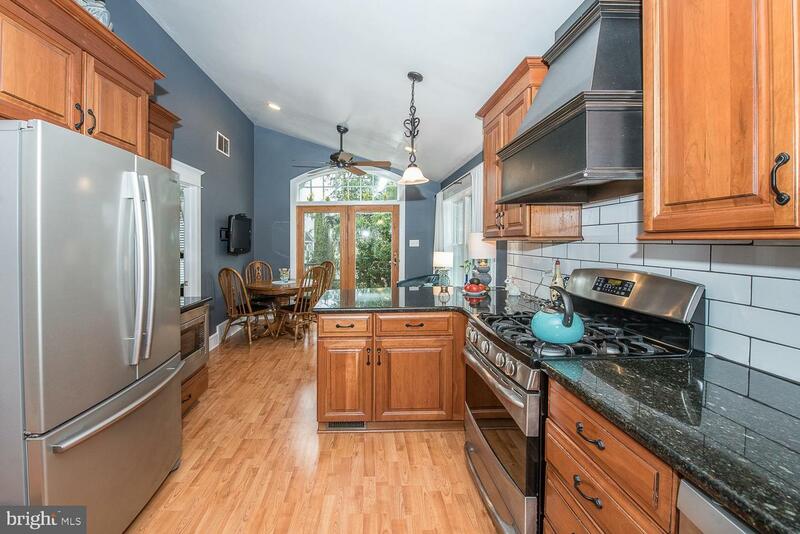 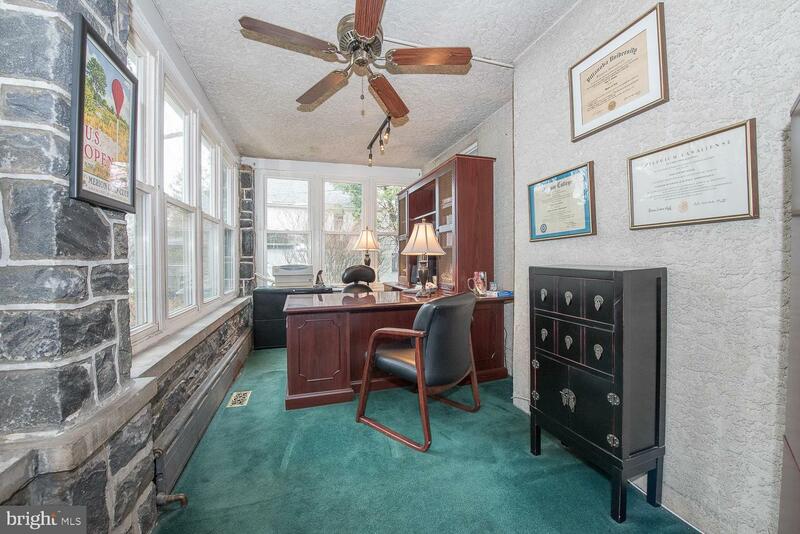 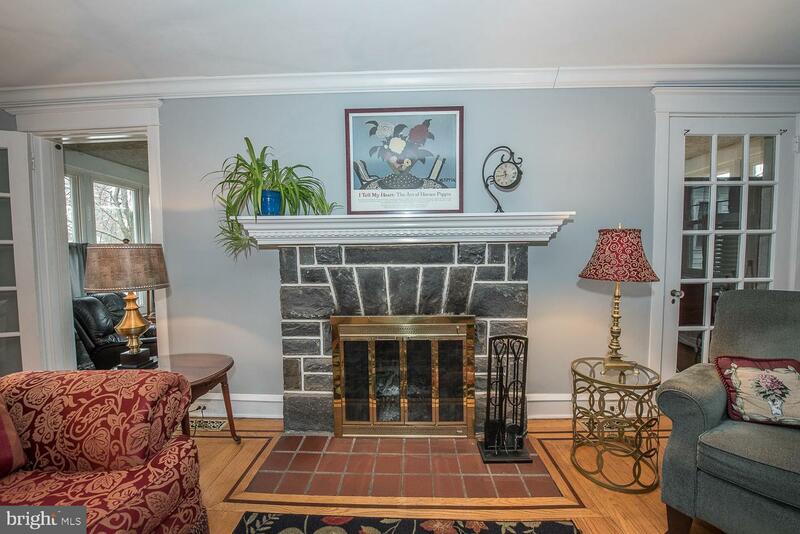 Pack your bags and move right in to this handsome Dutch Colonial home in a popular Havertown walk-to neighborhood. 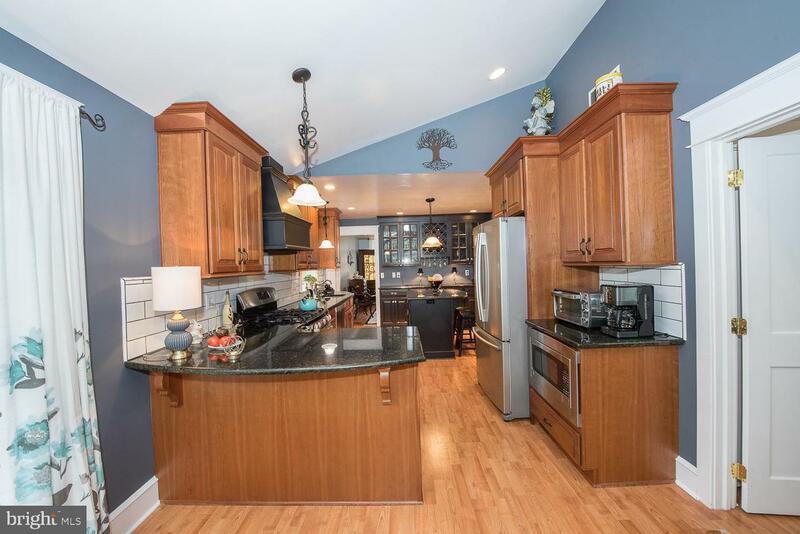 This home has 4/5 bedrooms, 4.1 baths, a flexible floor plan and a fabulous rear addition that includes a main level bedroom with bath that would be perfect for an in-law or au pair. 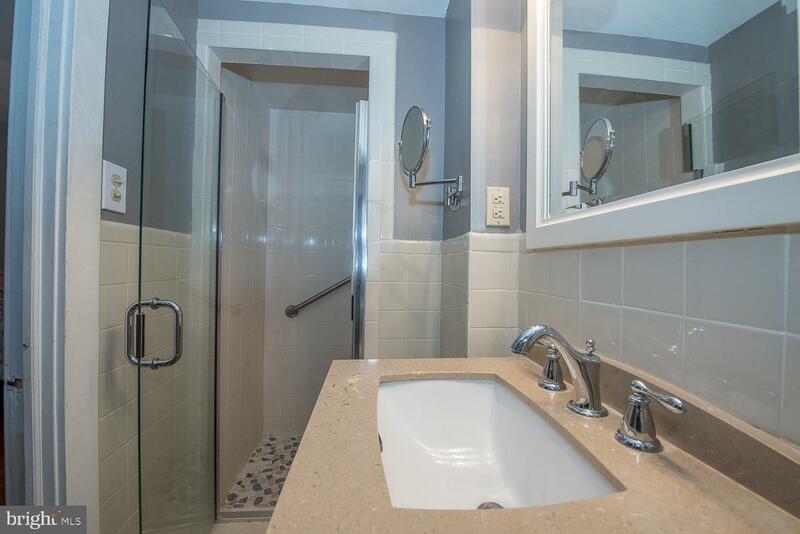 It has been meticulously maintained and is in pristine condition. 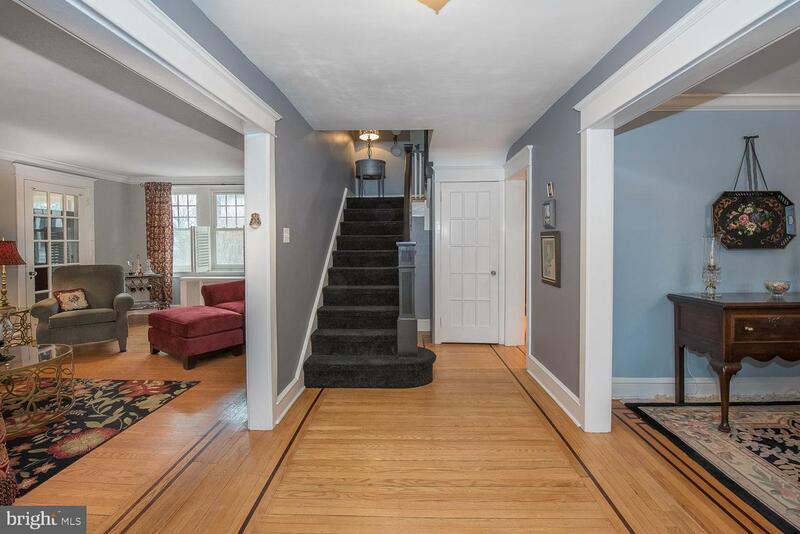 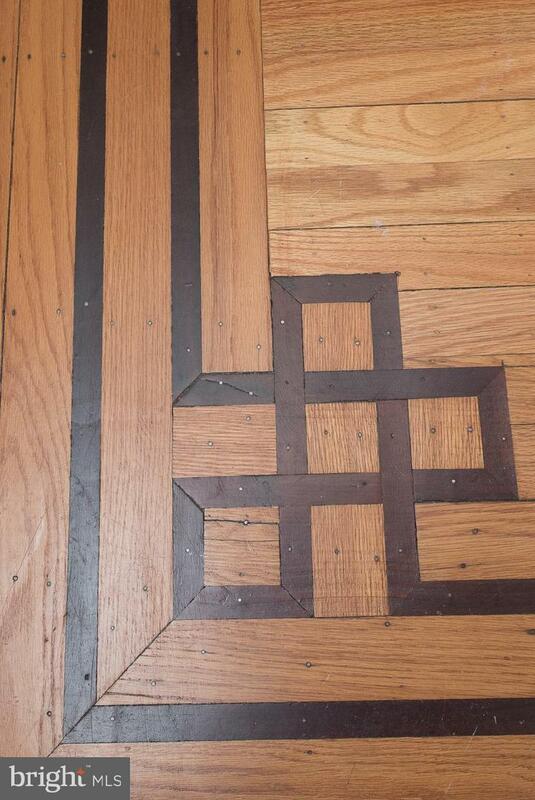 Enter the center hall foyer and notice the gorgeous original inlaid hardwood floors, high ceilings, turned staircase and original molding. 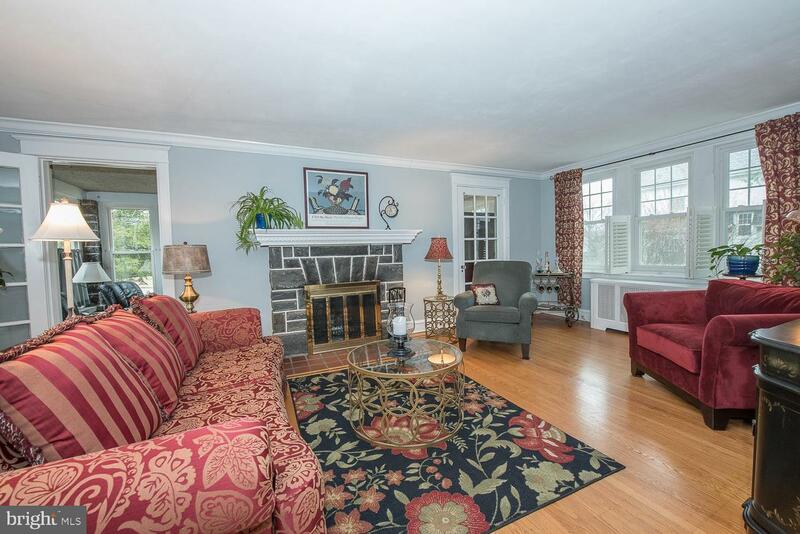 The bright, formal living room is spacious, has large windows with a stone-front wood-burning fireplace with a deep wood mantle. 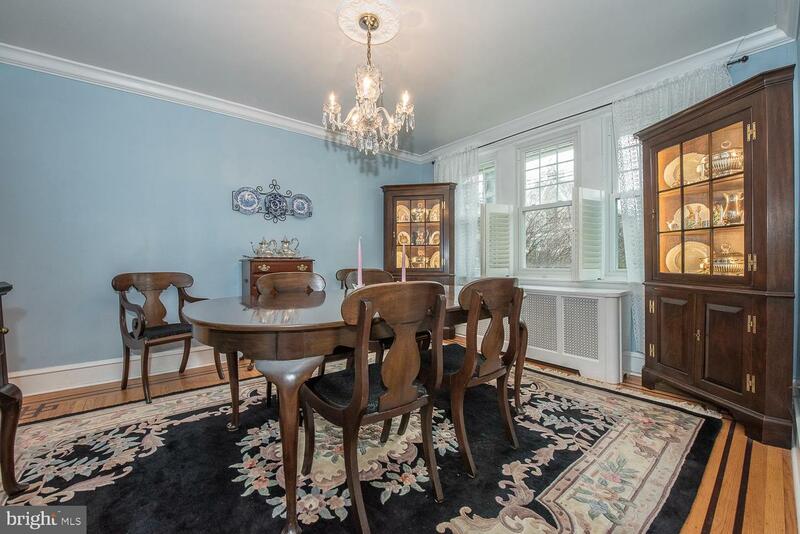 The living room and formal dining room both have built-in plantation shutters. 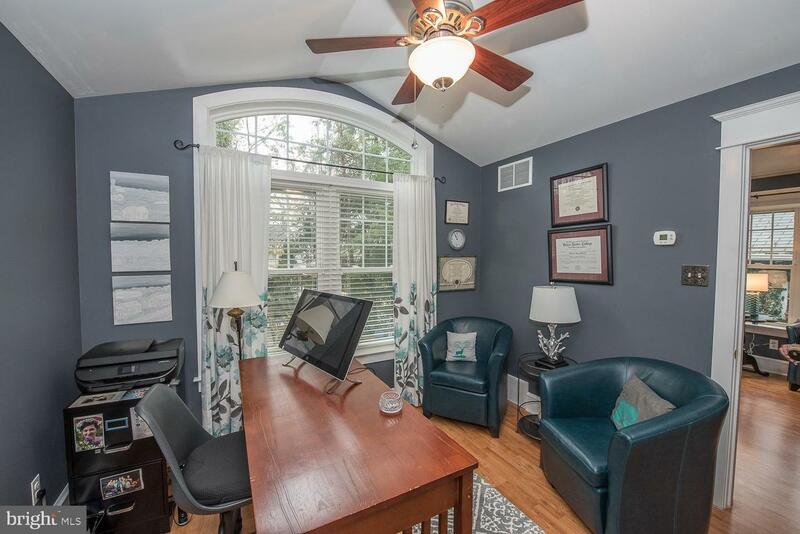 There is an enclosed sun-porch overlooking the side yard that can be used as an office, playroom or a place to hang out and read or watch TV. 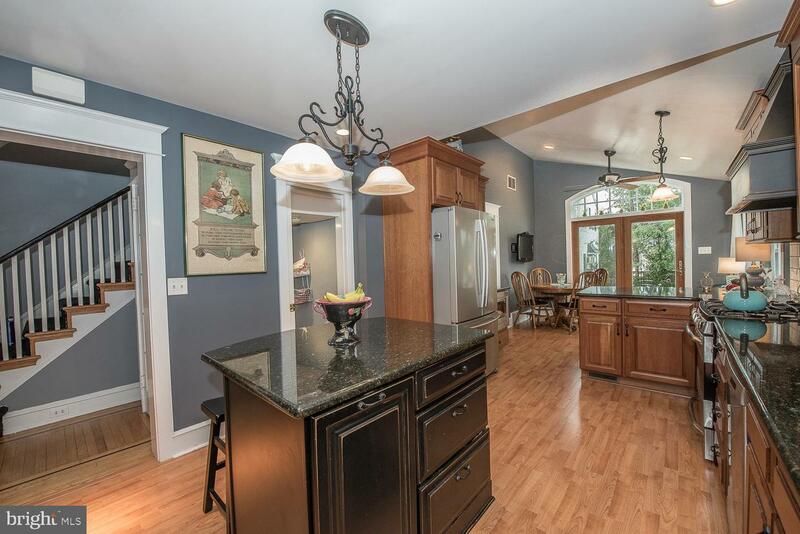 The gourmet kitchen with granite countertop and cherry cabinets, center island and butlers pantry area was done in 2008 at the same time as the addition. 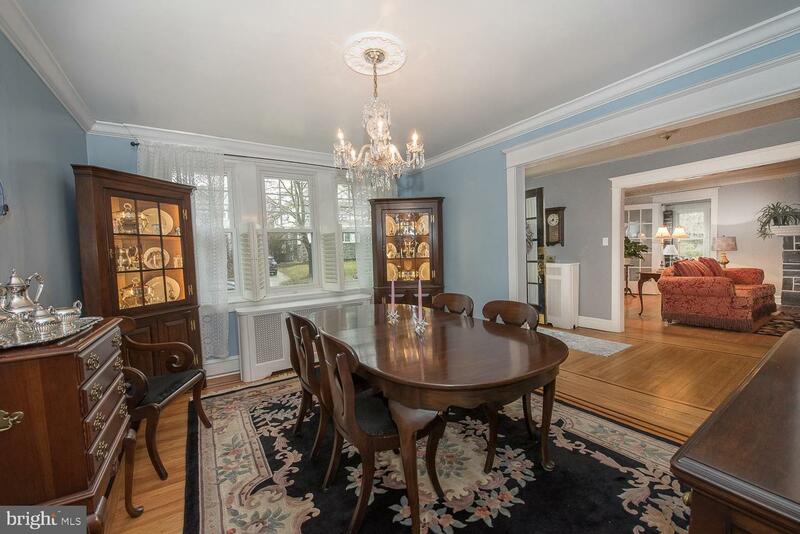 There is a cathedral ceiling and a gorgeous arched doorway leading to the private rear patio. 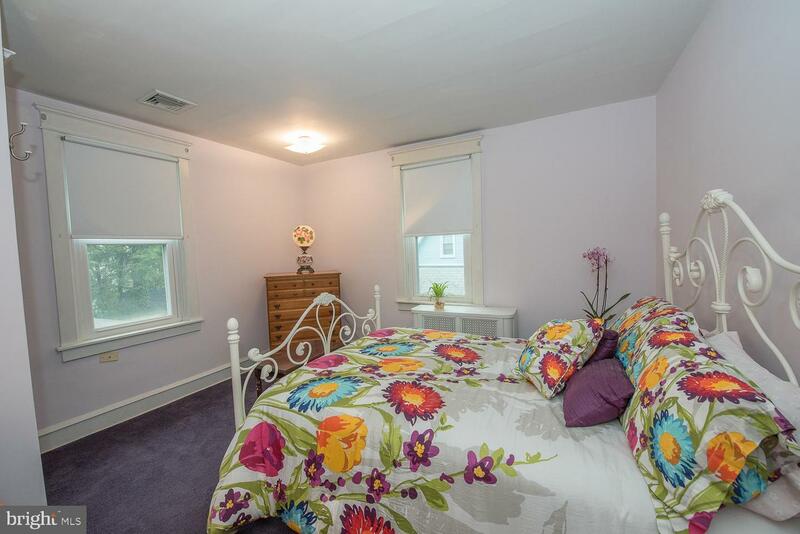 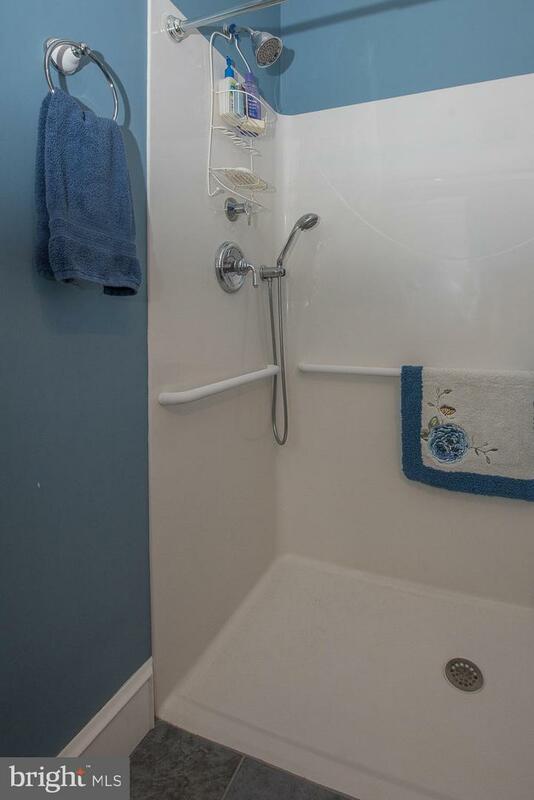 The addition also includes a main level bedroom and bathroom with an accessible shower stall. 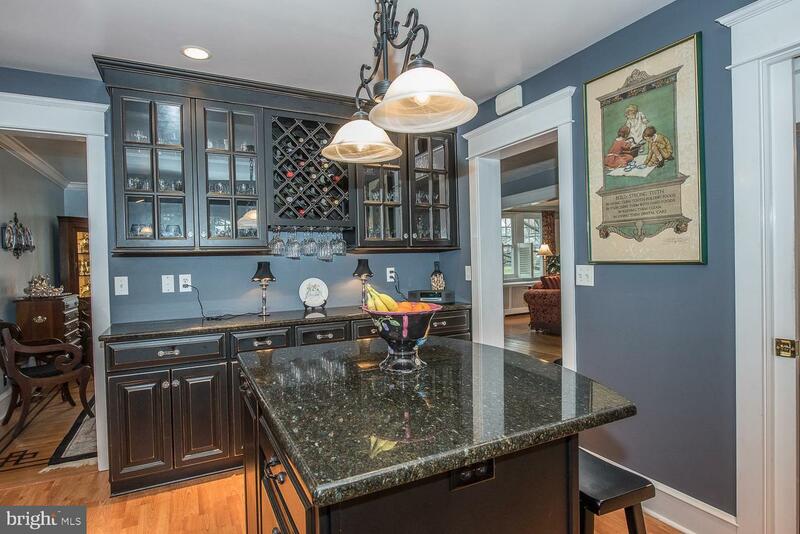 This is the perfect home for entertaining ~ inside and out! 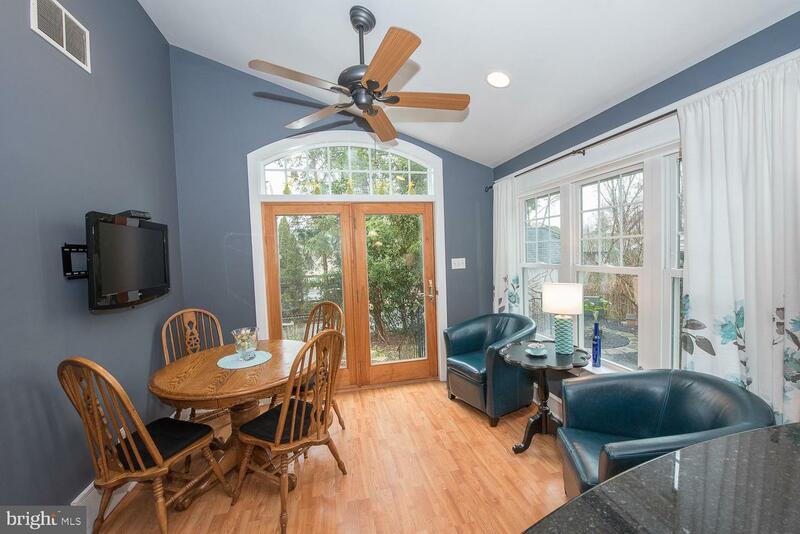 The fully fenced yard includes a lovely paver patio, planting gardens and an open area for play equipment. 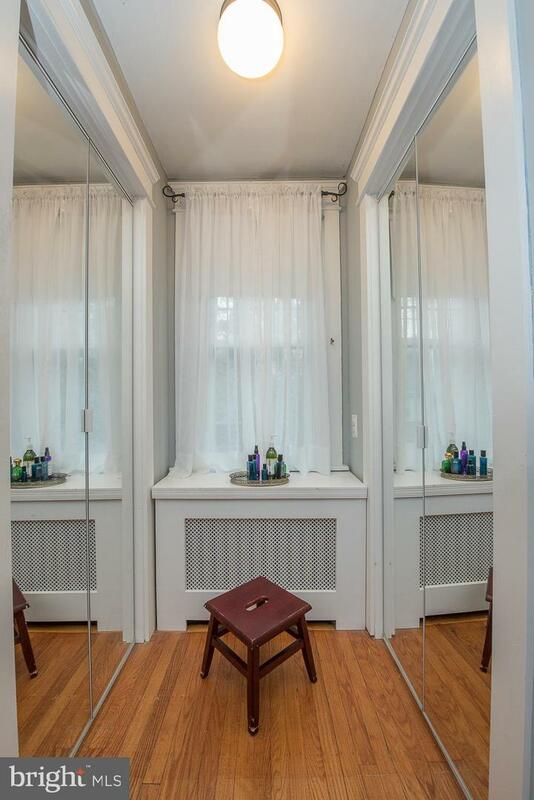 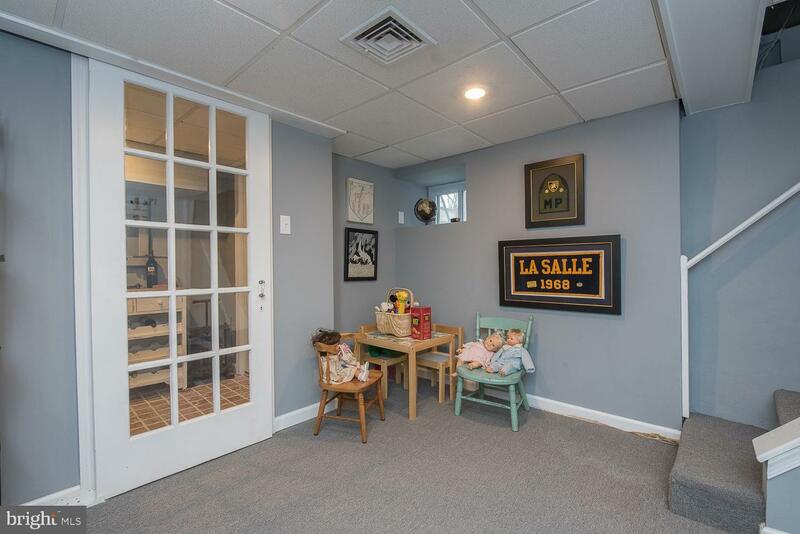 Off the kitchen there is a powder room and a bonus room that can be used as a mudroom, an office or oversized pantry room. 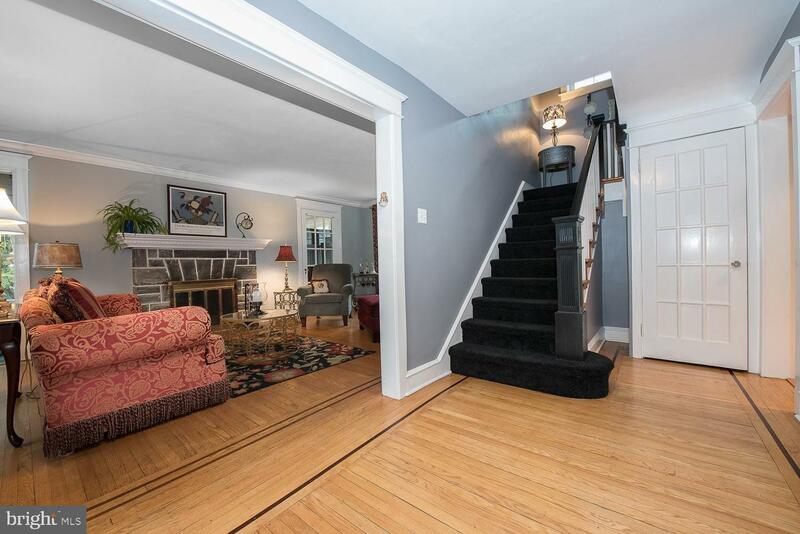 Adjacent is the side entrance that leads to the detached 2-car garage. 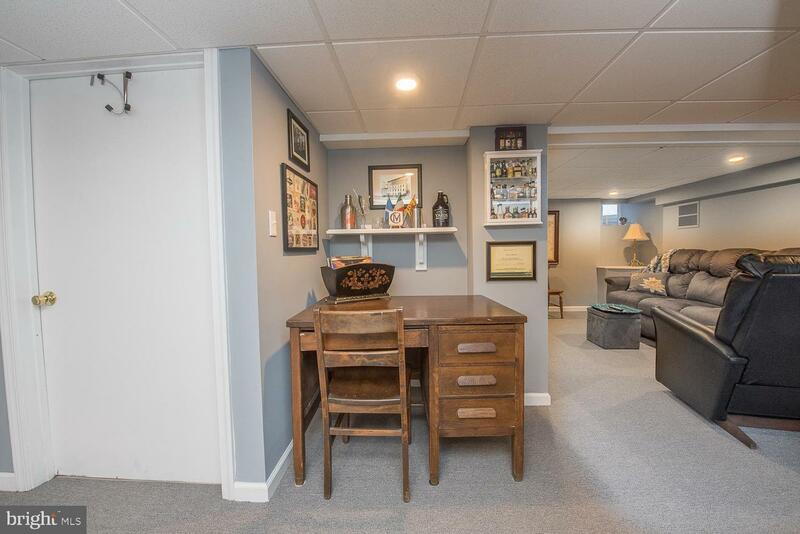 Park in the garage and bring your groceries right into the kitchen. 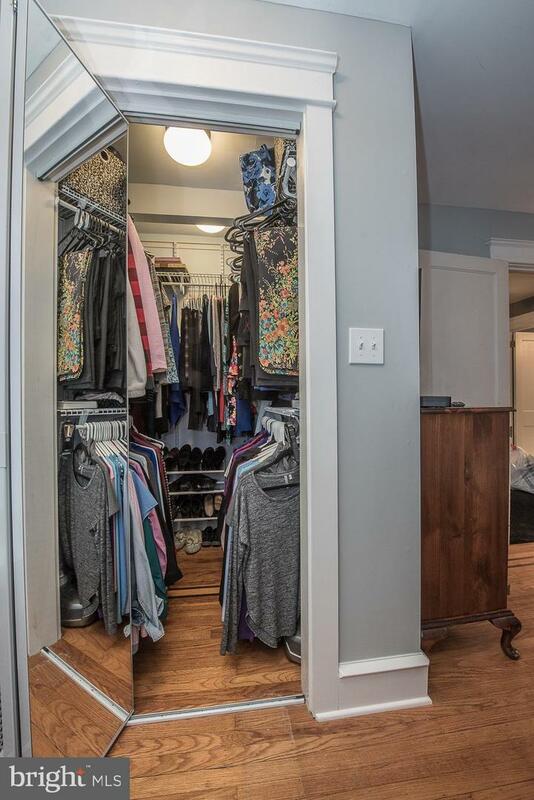 The second level features the master bedroom with tons of light and excellent closet space plus a bathroom with a shower stall. 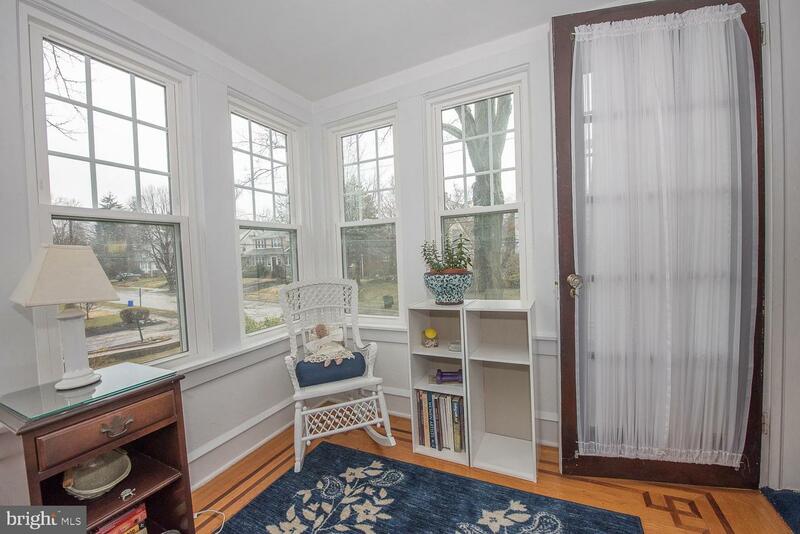 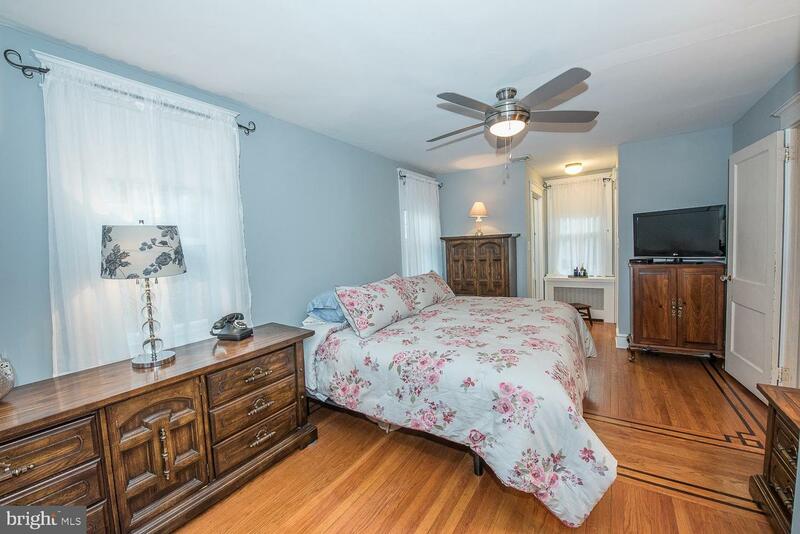 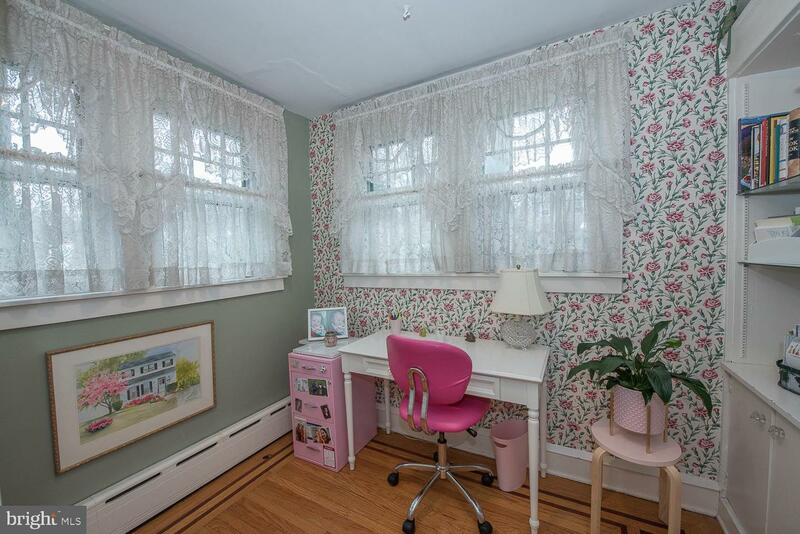 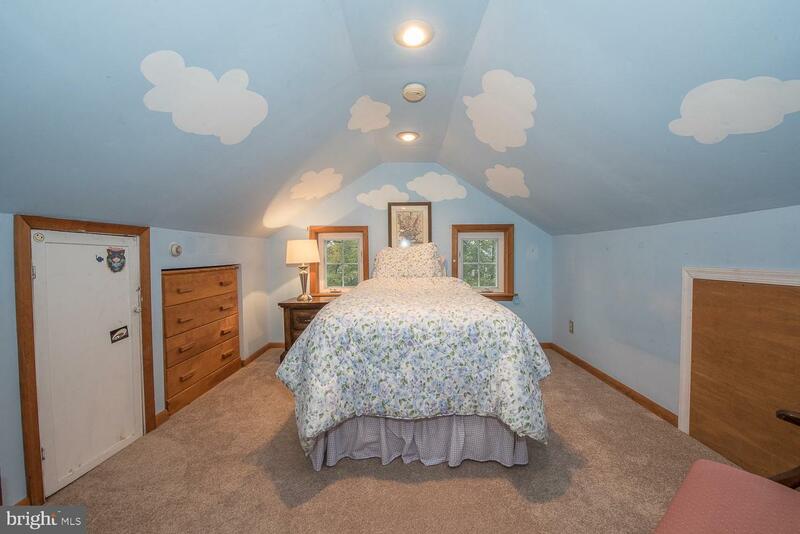 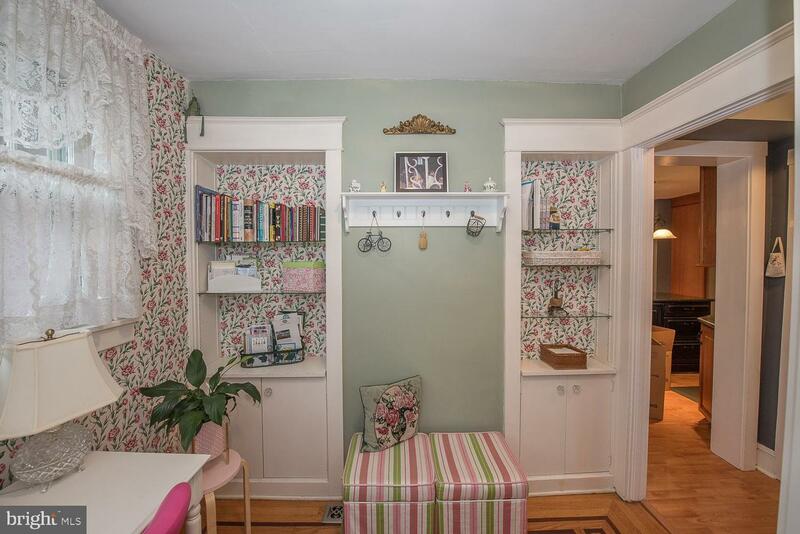 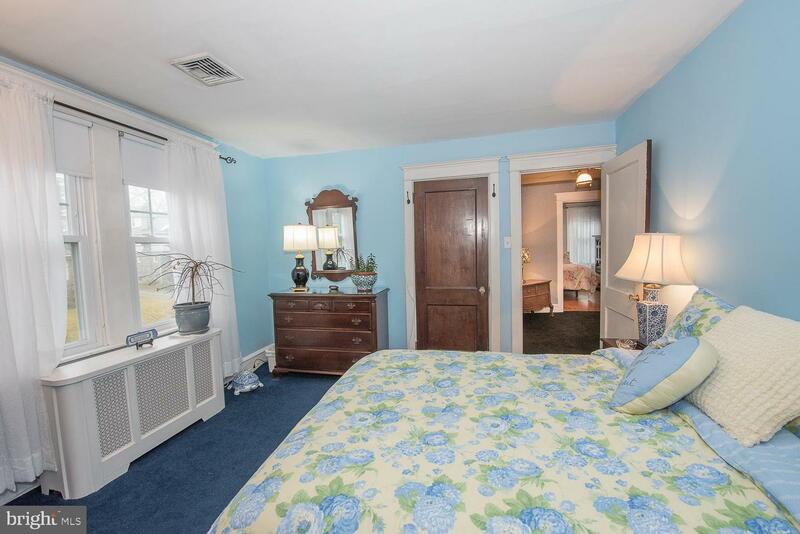 There are two additional bedrooms on this level, one of which has an attached, old-fashioned sleeping porch that could be used for any number of fun things. 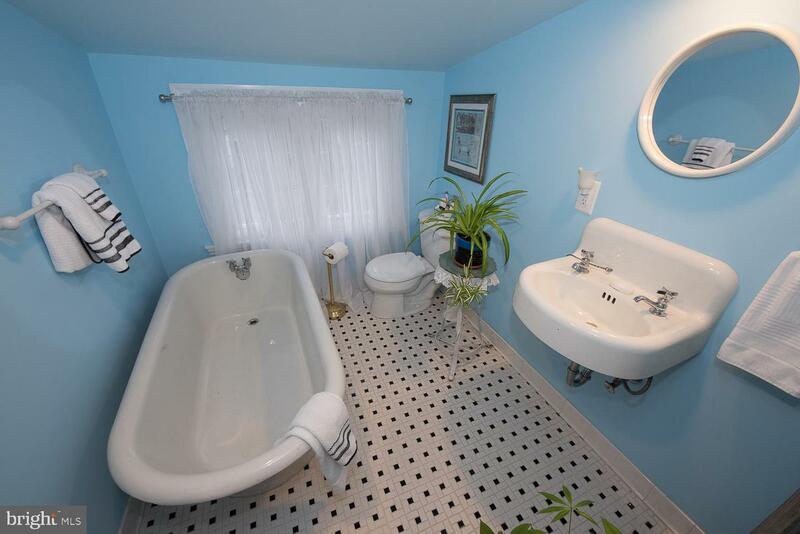 The updated hall bath with ~bubbler tub~ bedrooms completed this level. 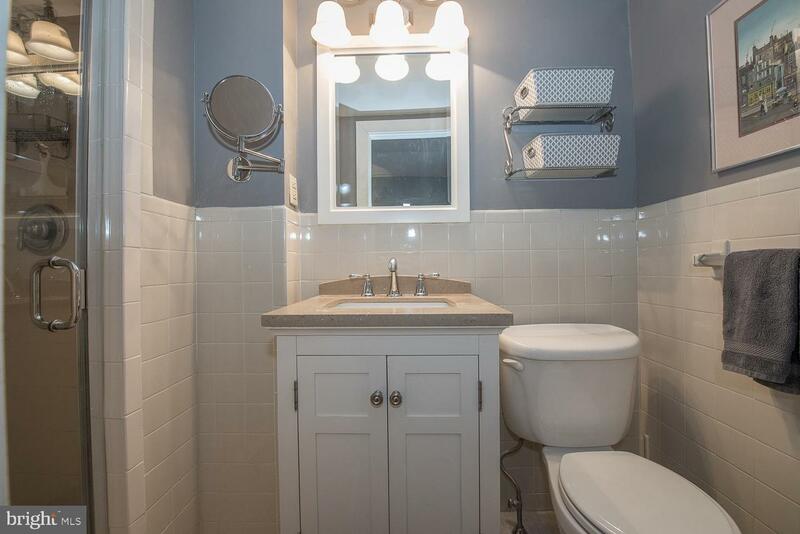 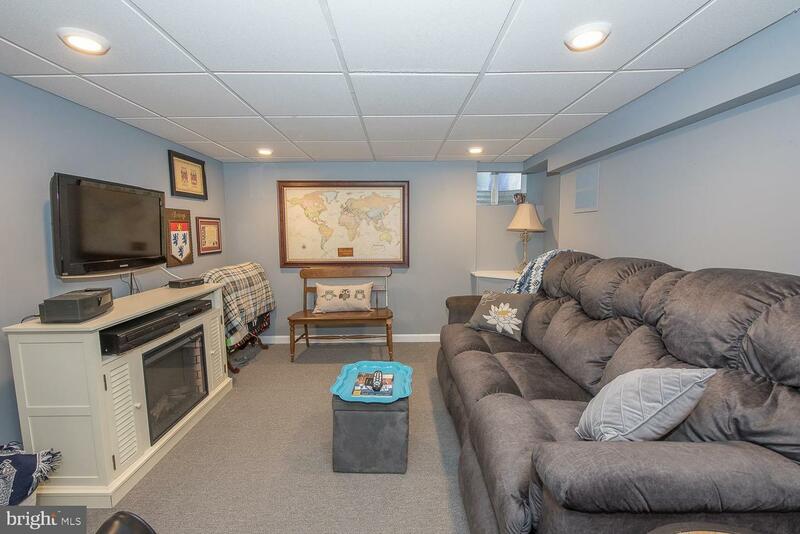 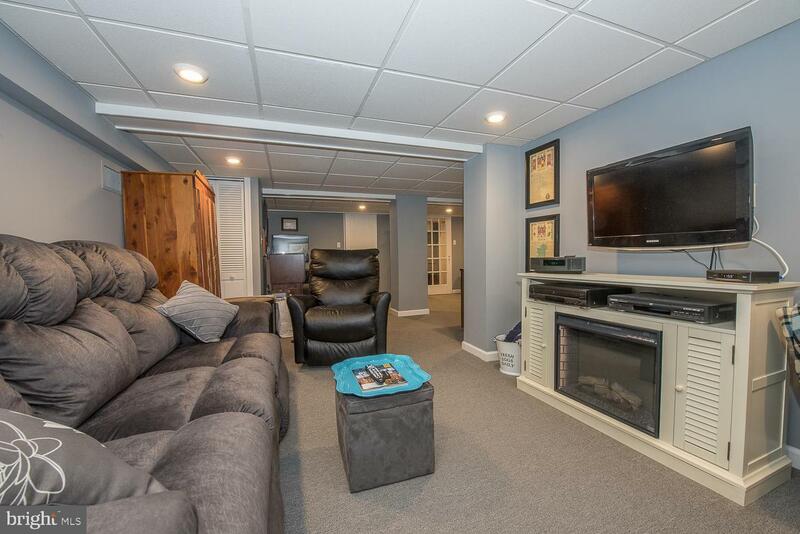 The 3rd level has a bedroom, a full bath with original soaking tub from the 1920~s plus an additional room that houses the central air unit and ductwork.The basement is fully finished and ready for play or entertaining plus a separate, attractive wine cellar. 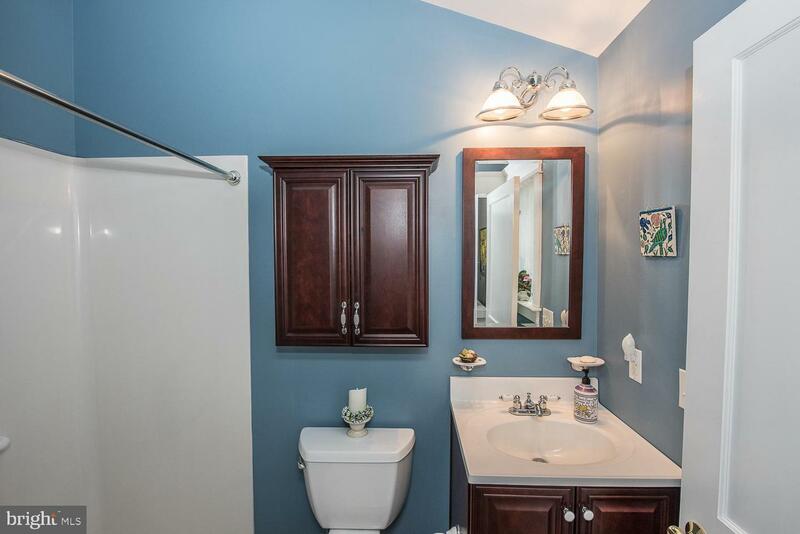 There is a large laundry room that also offers additional storage. 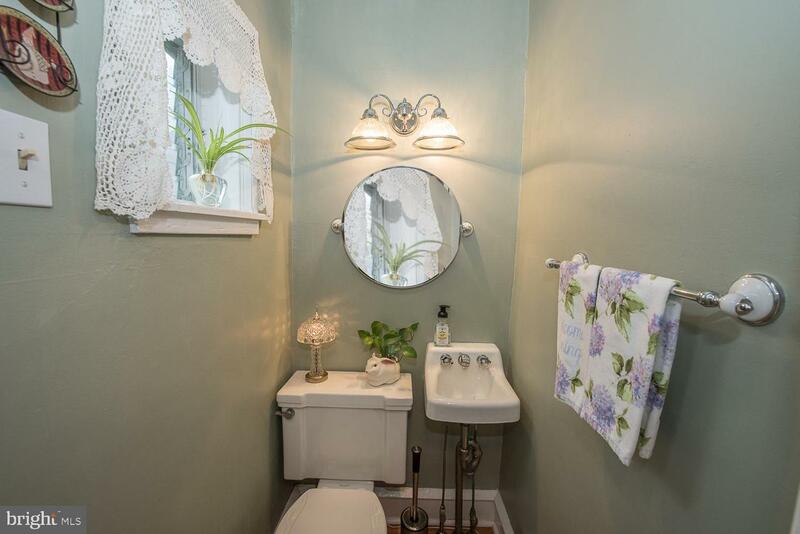 Some of the great features of this home include multiple heating and air conditioning zones with newer mechanicals, newer roof and newer hot water heater. 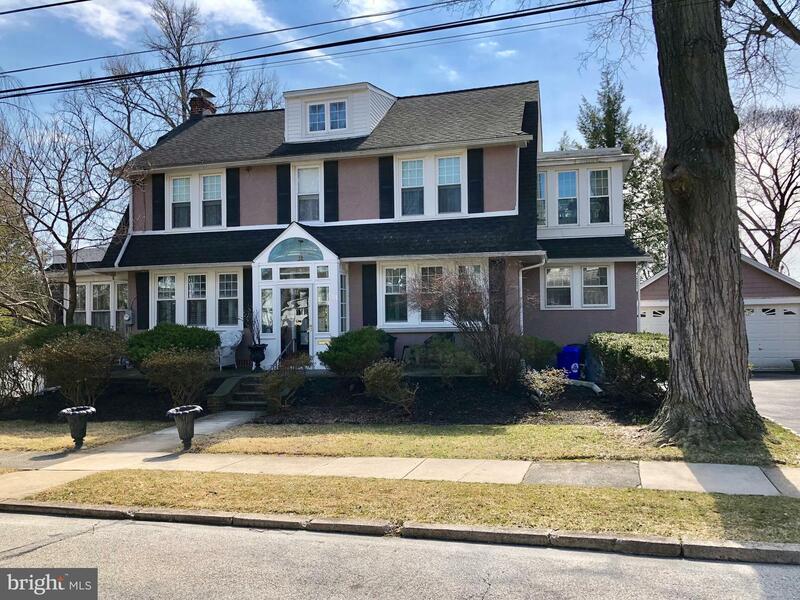 Marvelous ~walk-to~ location: Havertown restaurants, taverns, businesses, schools, parks and the YMCA and public transportation. 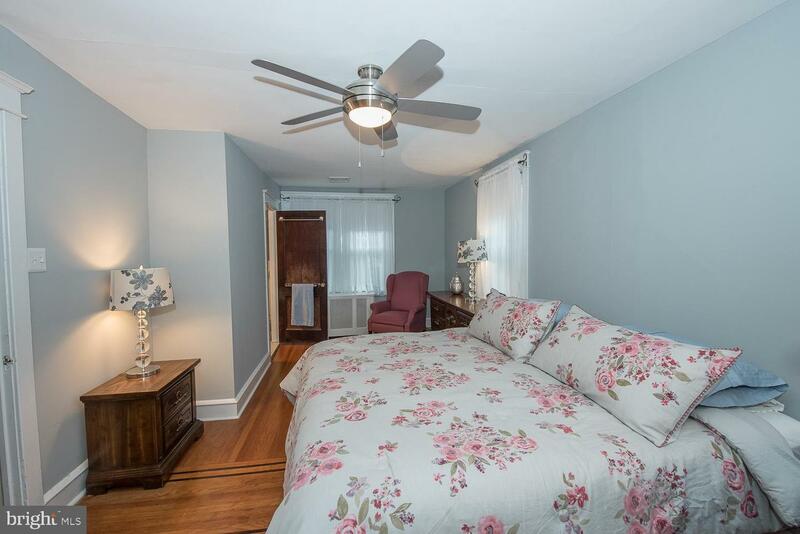 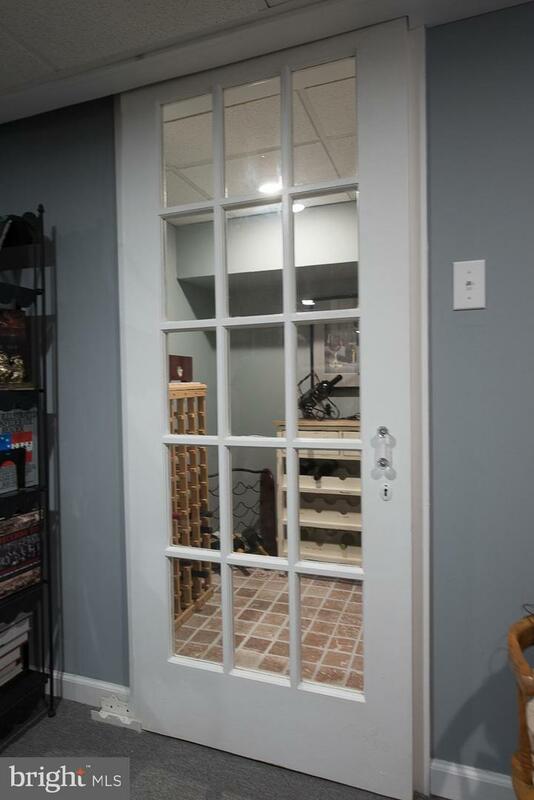 Minutes to 476 and easy access to Center City.